Chris Mallon is a partner at Skadden, Arps, Slate, Meagher & Flom (UK) LLP. He leads and has played a leading role in growing the firm’s corporate restructuring practice in Europe. He works closely with the London finance, corporate M&A and private equity teams, and the US corporate restructuring group. Mr Mallon’s restructuring and insolvency credentials span cross-border reorganisations involving a number of jurisdictions, including England, the US, Ireland, India, Russia, the Cayman Islands, Bermuda, Poland, Germany, Holland, Italy and Luxembourg. His clients have included Enron, Global Crossing, WorldCom, Loral, Telewest, Parmalat, Eurotunnel, Gate Gourmet, British Vita, the Tele Columbus Group, TORM A/S and Excel Maritime Carriers. Mr Mallon has acted for the Tele Columbus Group in restructuring its debt by means of a debt transfer and debt-for-equity swap implemented via several schemes of arrangement; for Calyon in relation to ongoing negotiations with FGIC regarding settlement of transactions relating to the Rhineland Conduit; for Carlyle in relation to Carlyle Capital Corporation Limited’s restructuring and renegotiation of its credit lines; and Residential Capital LLC in connection with its financial restructuring. He advised British Vita in relation to the restructuring of complex debt facilities for its operating companies, as well as various clients regarding their distressed investments arising in relation to the US Chapter 11 filing of Lehman Brothers. He has been advising other lenders with structured investment vehicles on issues arising out of the recent credit crisis in the subprime and related structured investment markets. He also advised TORM A/S in connection with its financial restructuring, reducing its debt from US$1.4 billion to US$561 million, and involving third-party investor Oaktree Capital in contributing a number of vessels to the restructured TORM entity in return for an equity interest. Mr Mallon has repeatedly been selected for inclusion in Chambers Global: The World’s Leading Lawyers for Business. Mr Mallon writes and speaks frequently on insolvency and restructuring. 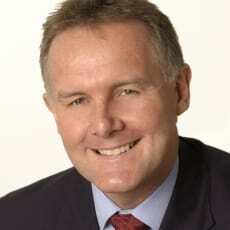 After graduating from the University of Western Australia, he was admitted as a barrister and solicitor of the Supreme Court of Western Australia in 1982 and as a solicitor in England in 1987.